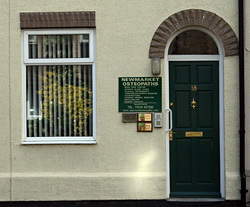 The practice location is at 18 Park Lane in the centre of Newmarket. A large public car park is situated 50 yds from the front door - the present fee is 50p for 2hrs parking. There is space to park one car behind the practice and nearby side roads also offer easy parking.